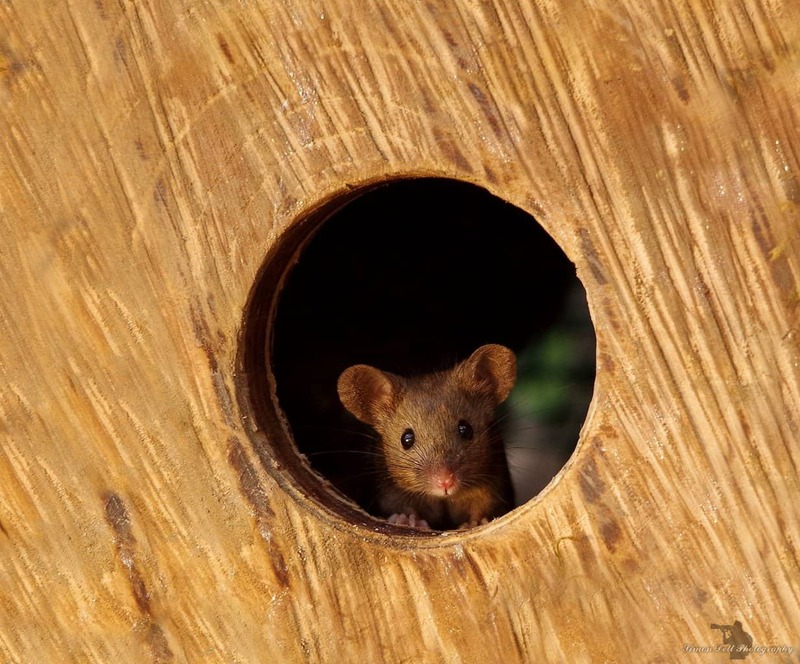 Most of us would probably be at least a little bit panicked if we saw some mice in our garden. 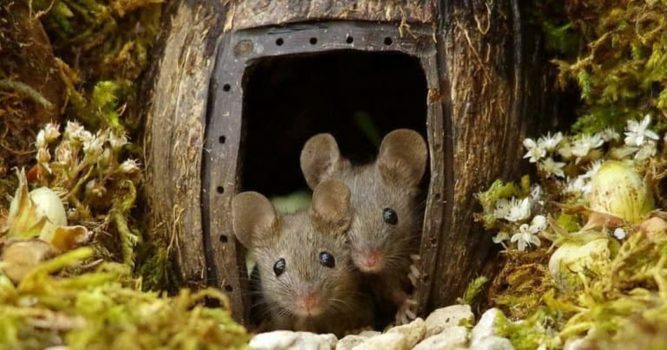 Although it is true that the outdoors is their realm, it might be just a little bit too close to our home for comfort. 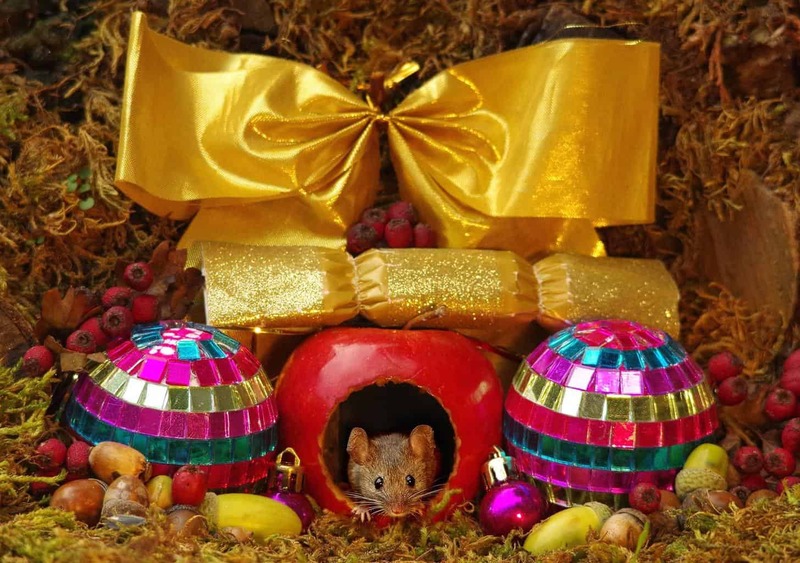 In fact, we may even head out to grab a mouse trap or perhaps let the cats loose to help keep a more difficult situation from occurring. If you were an individual named Simon Dell, however, you would take that lemon and turn it into some lemonade with an awesome photo shoot. 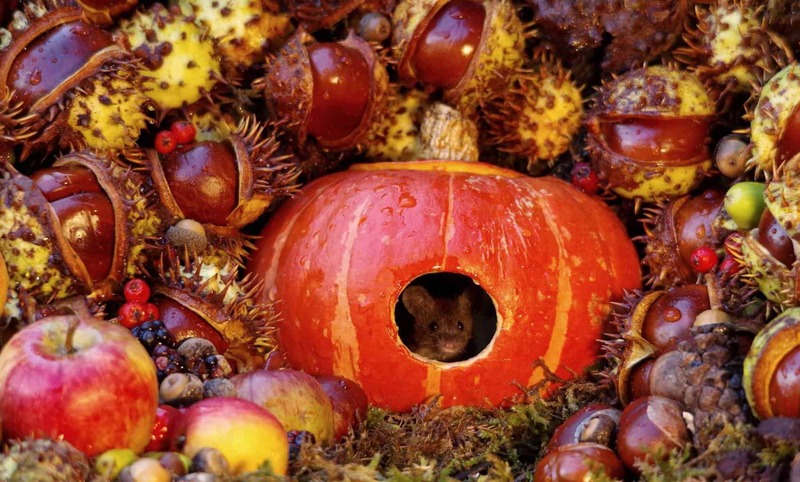 Simon Dell is a wildlife photographer from Sheffield, United Kingdom. 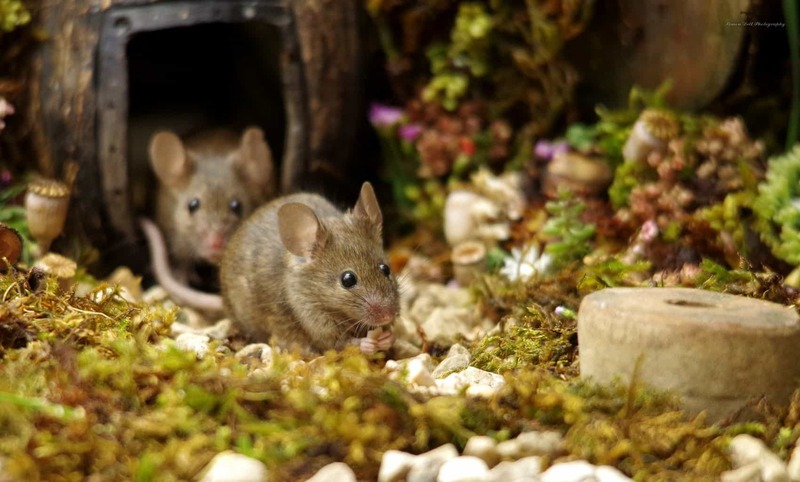 When he saw some mice in his garden, he didn’t go running for an option to get rid of them, he took advantage of the opportunity and grabbed some awesome pictures of the little creatures. 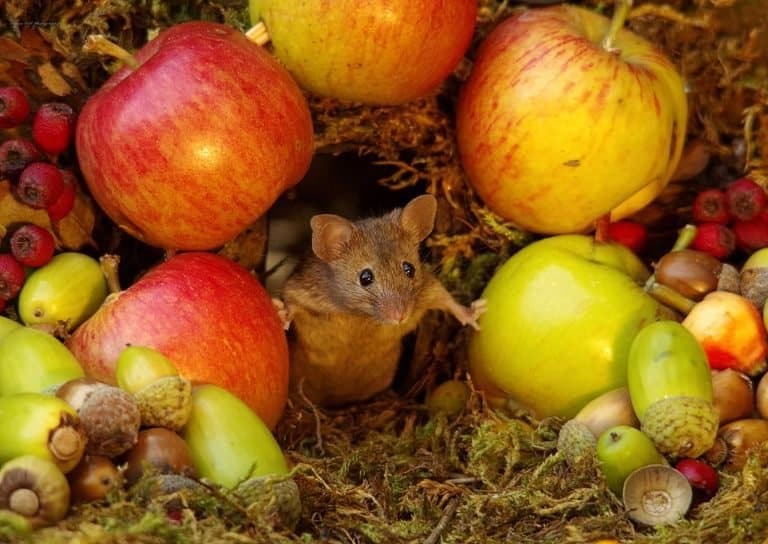 The problem was, the mice weren’t about to come to him so he had to do a little something to entice them in his direction. 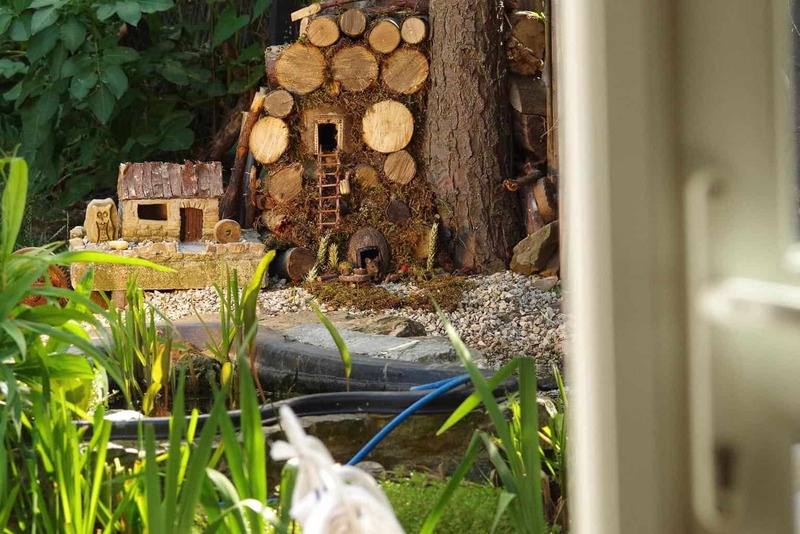 What he ended up doing was building them something that would get their attention and make for some awesome pictures. It worked great! 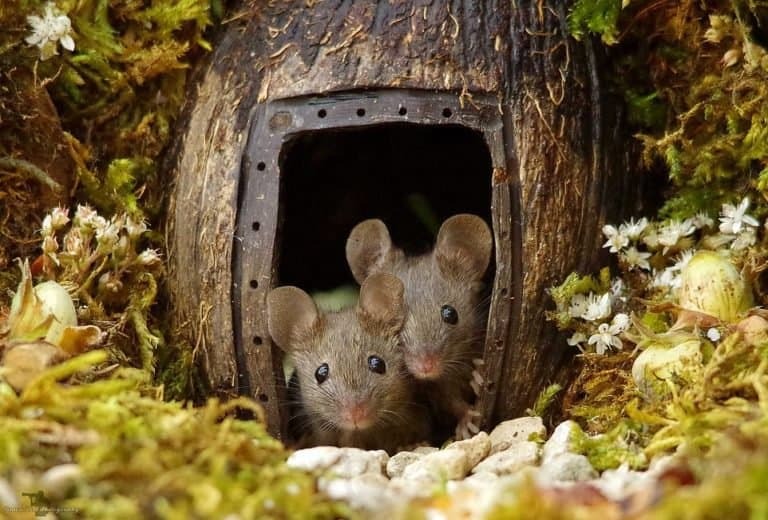 Before long, the family of mice was living in their new home. 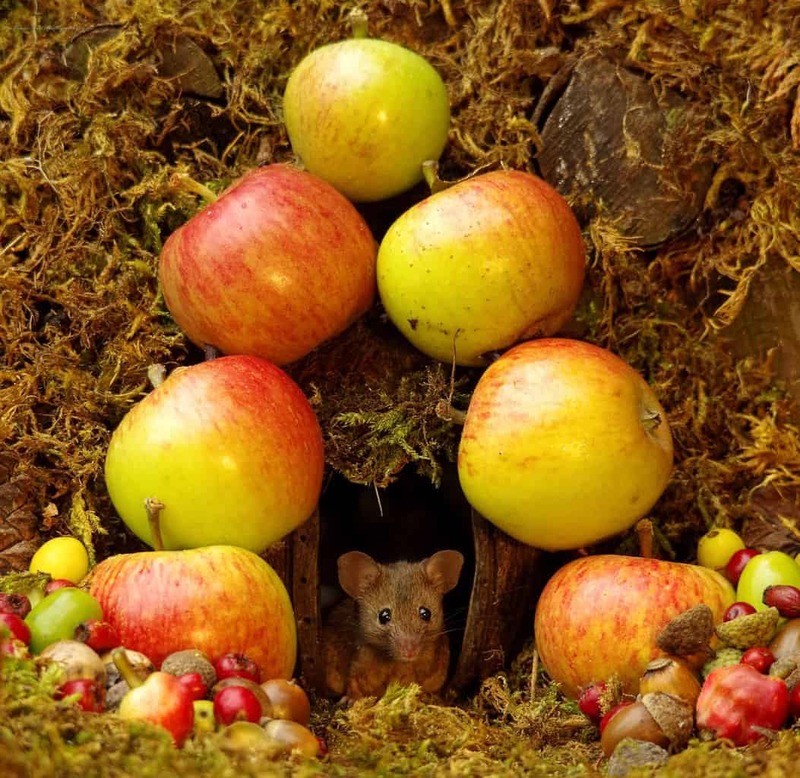 Simon used old fruit and vegetables along with some props to build them a little home. The results speak for themselves. 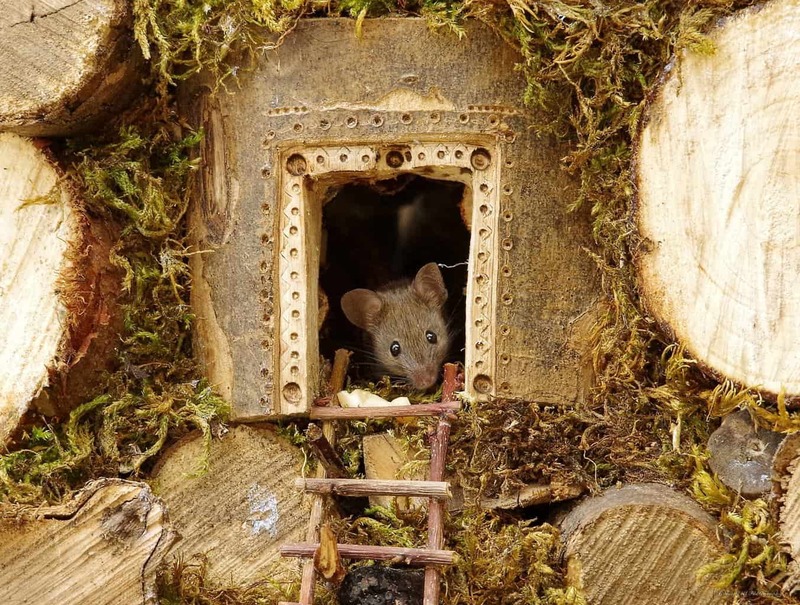 In order to get the pictures he wanted, he created the little houses for the mice named George and Mildred and their baby, Mini. 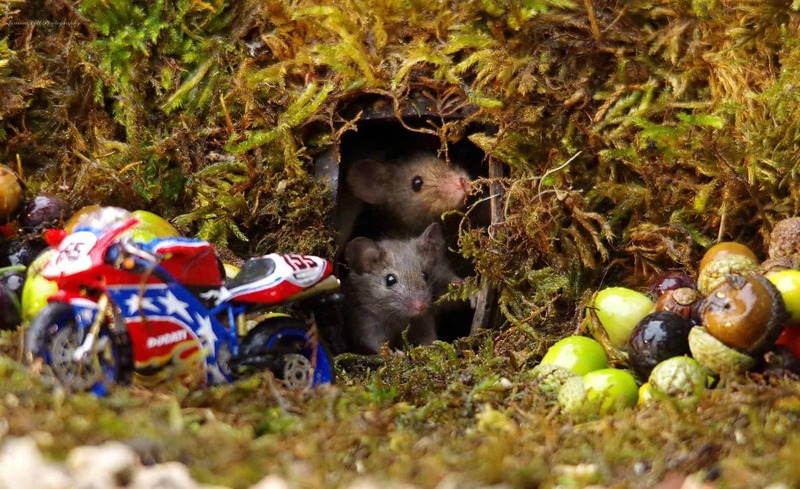 He built them a house and a tiny playground. He got their attention with some nuts and berries and he would pick the goodies on his walk on a nature preserve near his home in Sheffield. 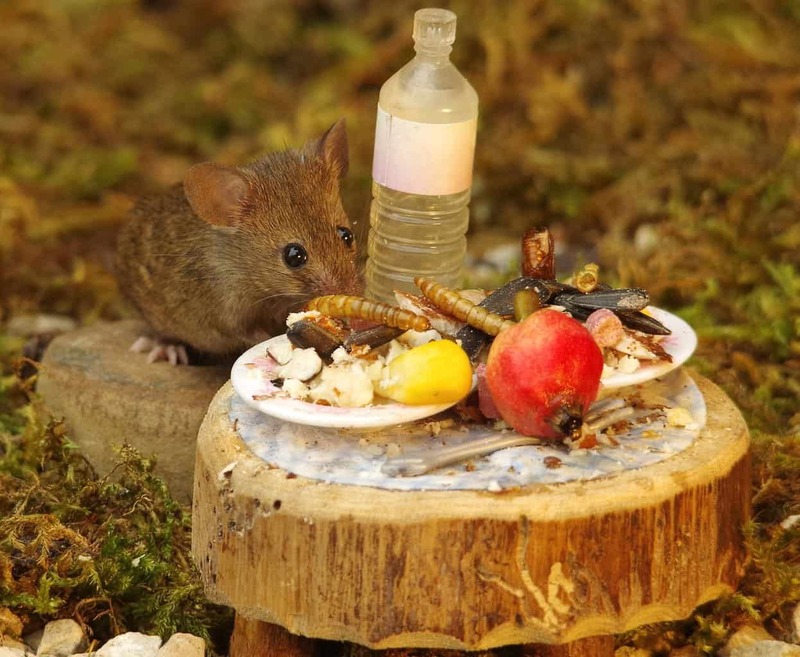 Some luxury banquets are prepared on occasion for the mice. 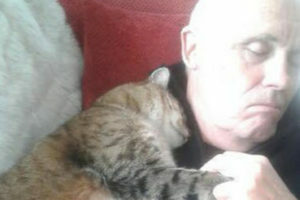 Simon has really gotten attached to the little mouse family and he updates the village regularly. He even got them some transportation but I doubt they use it very often. He also wanted to ensure that they were safe. 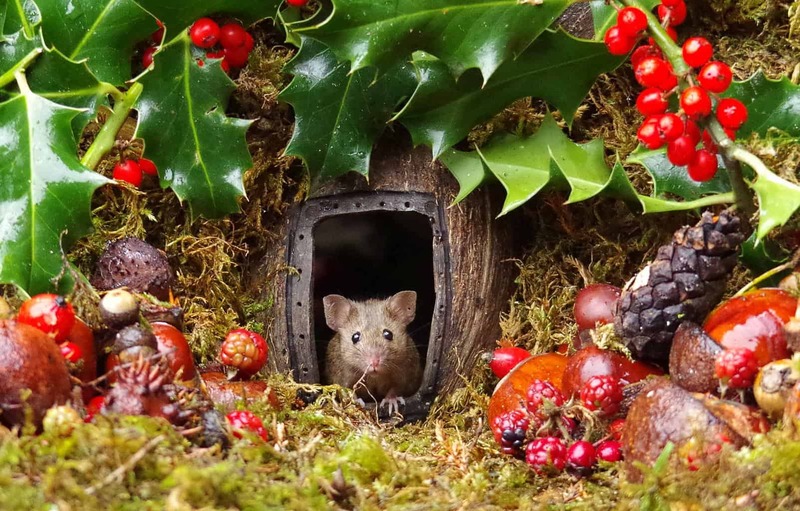 The little mouse family was also able to celebrate Christmas this year right in the garden. 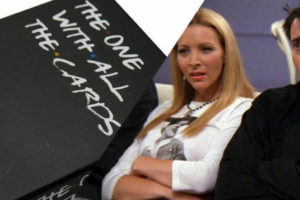 Simon makes an awesome landlord. 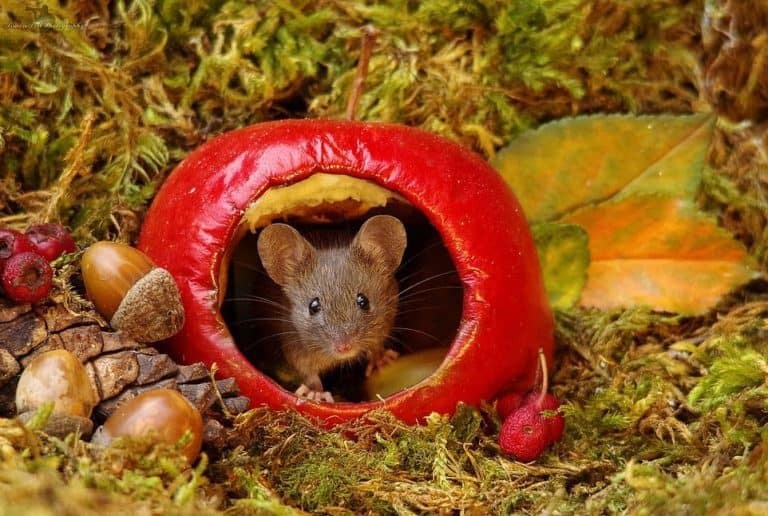 Now that I’ve seen the home he built for the mice, I want one for myself! 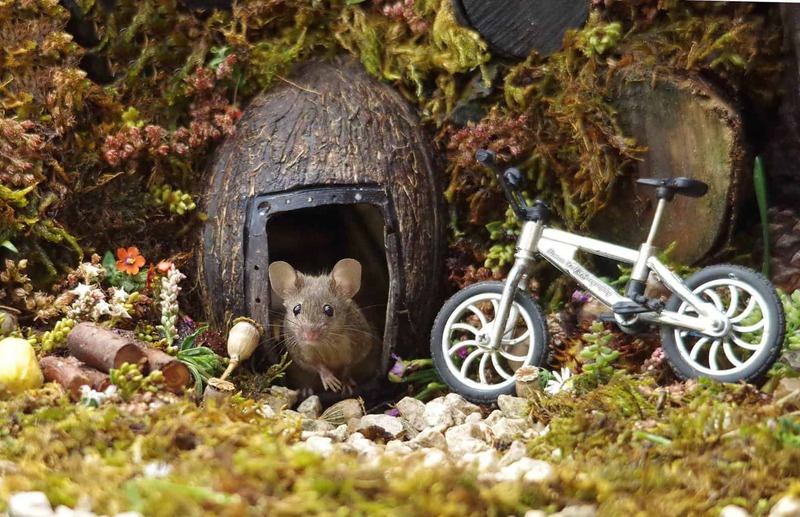 You can watch him talking about his hobby and his adopted mouse family in the video below.